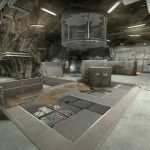 Stargate: The Last Stand (SG:TLS) is a total conversion mod for Half-Life2. What does this mean? 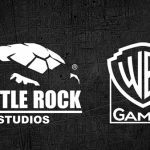 Well, it means that the development team are stripping the Half-Life2 (a.k.a ‘Source’) engine down to its bare bones, and re-building a completely new game from the ground up. In the Stargate: The Last Stand multiplayer games, players will play on one of two teams, Goa’uld, or Tau’ri. Each team will contain one base class (for example Airman for the Tau’ri) and 4 special classes for which players can nominate themselves for (for example Dr. Daniel Jackson for the Tau’ri). Each class will be armed with its own weapons and unique physical abilities, and will be challenged with our central gameplay ‘The Last Stand’. SG-1 has been disbanded. O’Neill, Carter, Jackson, and Teal’c are scattered around the galaxy pursuing goals set out by the powers that be. Unbeknownst to Earth, their greatest enemy is amassing his forces. He has a plan, and with it a new grand design. Called into action by Earth’s ‘Homeworld Security’ when the Antarctic Outpost comes under assault, the men and women of Stargate Command soon find themselves caught up in an epic battle for the fate of Earth, and the entire galaxy. From the Jaffa struggle for freedom to the defence of Earth, our teams from the S.G.C are forced to unite in squads and make their Last Stand against an enemy that threatens to destroy us all. In the Stargate: The Last Stand multiplayer games, players can choose to defend their home world in secret offworld missions, or destroy the Tau’ri as the elite Jaffa, Guards and Warriors in Anubis’ ranks. Games mostly centre around our unique ‘The Last Stand’ gameplay and last 15 minutes each round, so longer than a round of Counter-Strike: Source but shorter than a round of Battlefield. 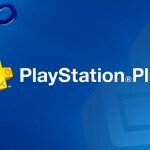 Players are able to equip themselves with a wide array of weapons that are featured in the television series, from the Goa’uld Staff weapon to the Tau’ri FN P-90. Ultimately, the defending team have no reinforcements to backup their position. The enemy is strong, and their numbers are great. Can you hold out until the final hour? This is, The Last Stand. 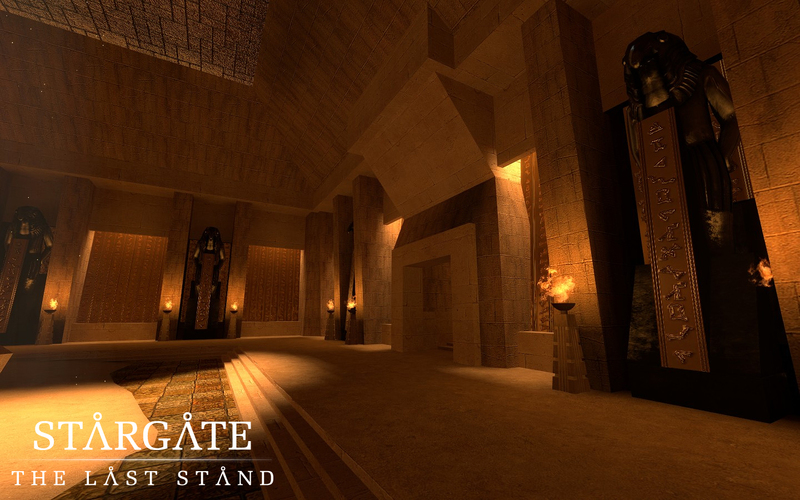 You can grab the Stargate: The Last stand server and client from our downloads page. 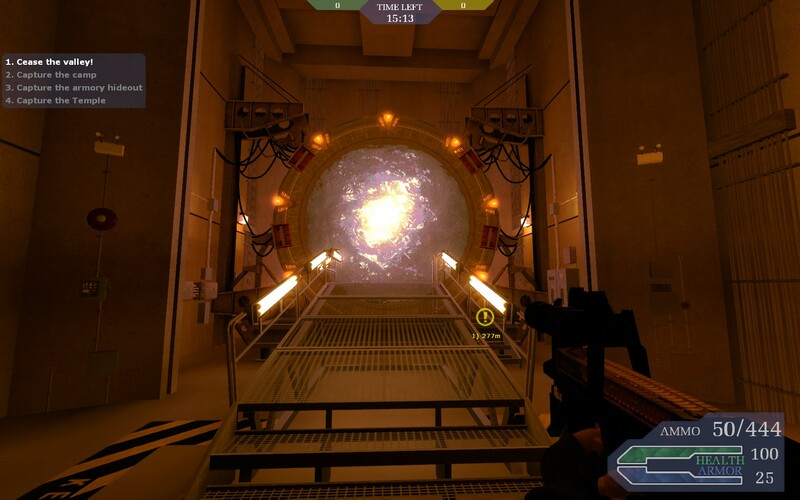 Stargate: The Last Stand HL2 mod was created by the original InterWave Studios team. The company no longer exists, but the mod is still available for free download on our website.